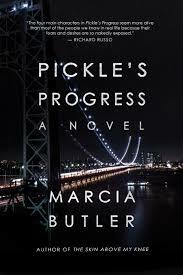 Marcia Butler, author of The Skin Above My Knee, joins us to talk about her debut novel, Pickle's Progress, followed by a book signing. Copies will be available for purchase. Registration for this event is not required, but if you'd like an email reminder, please click the REGISTER button below.